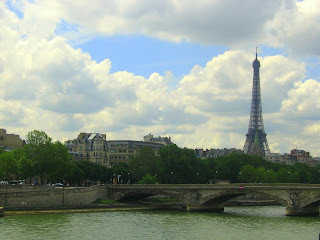 Three years ago this month I started writing about life as an American graduate student in Paris. It was primarily a way for me to share my experiences abroad with family, friends, and anyone who happened to stumble upon this blog, but it also gave me an opportunity to combine two of my favorite activities: writing and talking about French stuff. Not to mention the blog's handy use as a travel time capsule - I still enjoy reading old posts from the spring and summer of 2008. Since those glorious six months spent jetting around La Belle France, Parisian Spring and I have left Paris, lived in Brussels and New York City, and settled back into life in Washington, DC. I recently accepted a job with the U.S. Foreign Service, and will likely be heading overseas again sometime this year. Parisian Spring, however, will not be joining me. I've decided that this blog has run its course. It accomplished what I want it to accomplish - chronicling my time in Paris - and it even managed to last two and a half years longer than I thought it would. It's time to move on to the next adventure, and whether or not it too will be blogged, it doesn't belong on Parisian Spring. To everyone who read, commented, shared, critiqued, and enjoyed this blog, I thank you. Mille fois. Consisting of colorful cream filling between two delicate cookies, le macaron is to Paris as the cupcake is to New York: the ultimate in trendy, sweet goodness. And the ultimate place to get them is at Ladurée, a super-chic chain of boutiques that draws in the masses much like Magnolia Bakery does in the West Village. 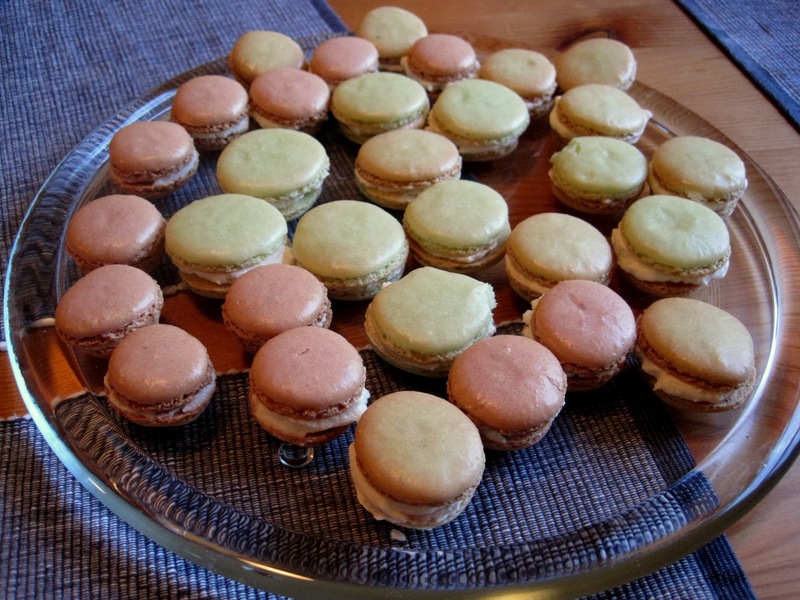 But if your budget doesn’t allow for a pilgrimage to Paris, you can simply make your own macarons at home. Seriously! I used to think homemade macarons would take too much effort and be too complicated, but fellow Francophile (and Minnesotan) Karen, who also reads Parisian Spring (merci!) 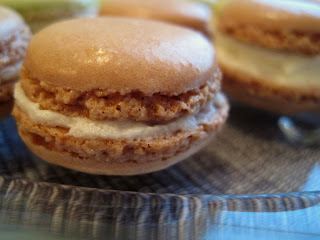 was kind enough to share her recipe for French macarons and assured me it was easy. Armed with this knowledge, I still wanted back-up, so I called my friend the expert baking blogger to help me in the kitchen. 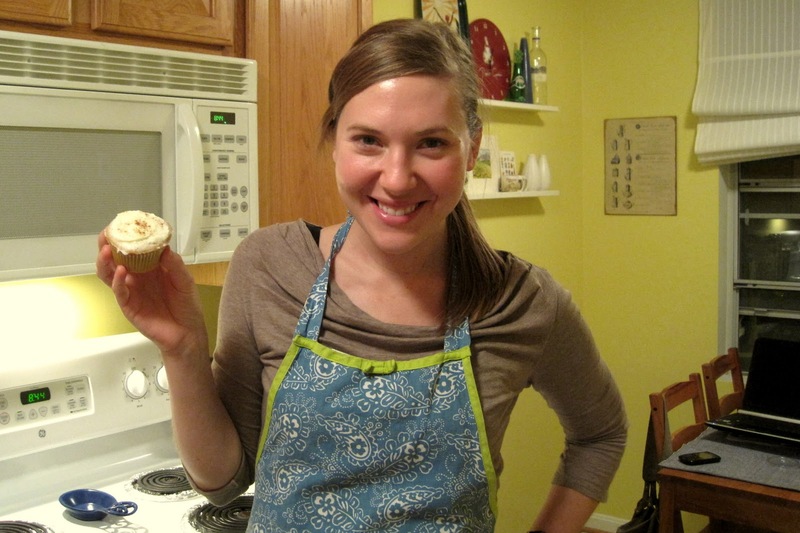 Turns out, making macarons was one of her baking New Year’s resolutions – bonus! We gathered the materials and the ingredients and got down to business. The first thing that tells you making macarons might be easier than you think is the ingredients list. 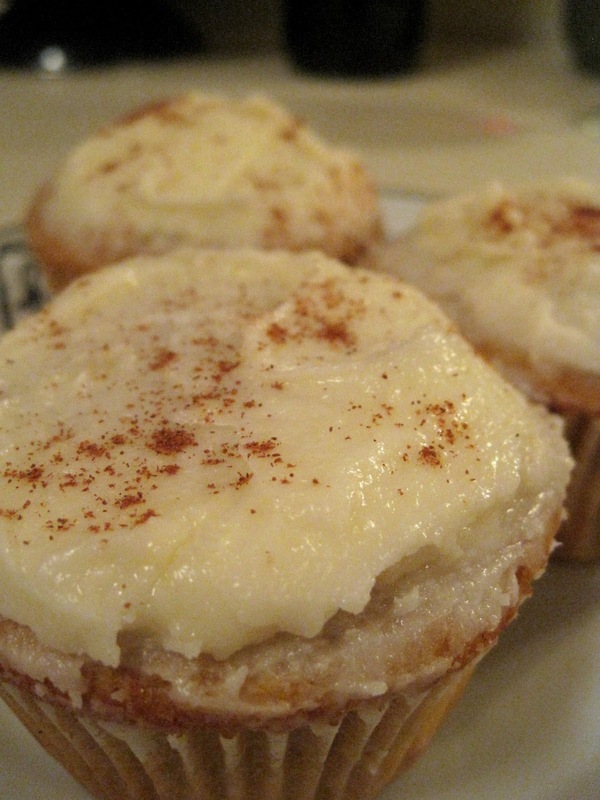 According to Karen’s recipe, there are only three ingredients: egg whites, powdered sugar, and almond flour. Aside from the sticker shock of buying almond flour ($14/pound at Whole Foods), there’s nothing difficult about that. You sift the flour and sugar, beat the eggs, fold it all together, add food coloring if you’d like, then start piping quarter-sized dollops onto parchment paper. Let those dry for 15 minutes, and then bake for 15 minutes. Aforementioned blogger and I could barely contain ourselves when those little cookies started rising in the oven. After letting them cool we filled our creations with a drool-worthy almond cream, et voilà! Macarons. Karen was right – making macarons is easy, making them the perfect treat to bring to your next birthday party, baby shower, brunch, or any event where you’d like to garner a steady round of oohs and ahhs. 4. Combine the almond flour and confectioners’ sugar, and sift it together into a bowl. 5. Beat the egg whites to stiff peaks – don’t over beat them, because they’ll fall apart. 6. When the egg whites are at stiff peaks, gently add the sugar/flour and blend in with a rubber spatula – you want it combined, but not beat. 7. When all the dry ingredients are mixed with the egg whites, spoon it into a pastry bag fitted with a round pastry tube. A second pair of hands will help greatly with this! 8. Pipe small mounds of the mixture, maybe the size of a quarter, onto the lined cookie sheets. Try and get them near the same size, and leave room between them, because they will spread out, and you don’t want them running into each other. Let them dry for about 15 or 20 minutes on the cookie sheet (they will spread out some as they sit there). 9. Bake in the oven for 15 minutes. Watch them turn into perfect little cookies! 10. When they come out, let the pan cool on a cooling rack for maybe 15 minutes, and then gently lift and peel the parchment paper away from them. They’ll be a little fragile. You can fill macarons with any number of creamy fillings. I beat one cup of heavy cream flavored with almond extract to a buttery texture, then folded in ½ cup of sugar. Heaven. The flavor and coloring possibilities for the filling and the cookies is only limited by your imagination. Is France the U.S.'s Strongest Ally? During President Nicolas Sarkozy's visit to the White House yesterday, President Obama said, "We don’t have a stronger friend and a stronger ally than Nicolas Sarkozy and the French people." At least one British reporter was outraged at the statement, but another defended it. What do the Frenchmen/women and Americans out there think about his statement? The Smithsonian's National Air and Space Museum, located on the National Mall, is one of Washington, DC's most popular tourist sites. 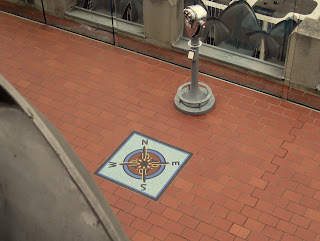 Dedicated to the wonder of flight, the museum features artifacts from both air and space travel, including spacesuits and capsules, war planes, rockets, and Charles Lindbergh's Spirit of Saint Louis, which is dramatically suspended in the main lobby. It's fun, free, and entertaining for all ages. But it's only a fraction of the Smithsonian's air and space artifacts. A few miles outside of Washington, DC, near Dulles International Airport, is the Steven F. Udvar-Hazy Center, the Smithsonian's other National Air and Space Museum. Unlike its downtown counterpart, the Center has the luxury of land, and therefore displays many larger air and space crafts, including a NASA space shuttle and, my personal favorite, an Air France Concorde. Even if you're not normally someone who gets excited about airplanes, you can enjoy this museum for the sheer impressiveness of its size and the size of the crafts. It would be difficult to walk under a space shuttle and not be awed by its largess. You'll also see the Enola Gay, infamous for dropping an atomic bomb on Hiroshima, early aircraft from the Wright Brothers era, and the world's fastest jet-propelled aircraft, the Lockheed SR-17 Blackbird, which made its final voyage form Los Angeles to Washington, DC in 1 hour 4 minutes and 20 seconds (2,124 miles per hour). In short, the other Air and Space Museum is even better than the one that gets all the attention on the Mall. It's that time of year again (Day One) when I like to reflect on the most recent 365 days of travel and dream about the 365 to come. 2010 started in Brussels, went to Luxembourg, Paris, Los Angeles, Minneapolis, New York, Seattle, Reno, Lake Tahoe, Kansas, and Disney World. And, of course, back to Washington, DC. Not bad for one year, especially since I resolved to make 2010 the Year of the Vacation, and many of those locations were indeed solely for R&R purposes. What's in store for 2011? For starters, January will bring another trip to Los Angeles (vacation) and then Minneapolis (sister's wedding). But the big news is that 2011 will almost certainly see another overseas move. In November I accepted an offer to join the Foreign Service, fulfilling a years-long dream and a year-long testing and hiring process. Training begins in February and by mid-March I should know where in the world they're sending me first. 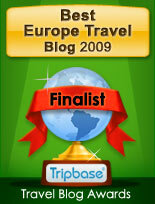 Happy Travels in 2011! Where are you off to this year? Arctic air is blowing, the sun is setting much too early, and the DC weather forecast is threatening snow. It's the perfect time of year to catch up on my movie-watching. 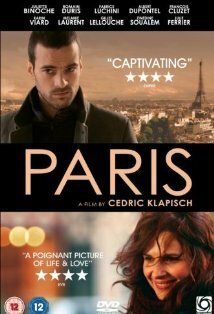 After one of my good friends (and fellow-Francophile) suggested I might enjoy Paris, a film by the director of L'Auberge Espagnole, I promptly borrowed her copy and settled in to watch it with a comfort food dinner and a glass of vin rouge. Paris reminded me a lot of Paris, je t'aime. Both films follow the lives of numerous Parisians in order to offer a glimpse of life in the city from multiple perspectives. However, in Paris, je t'aime we see very distinct and separated vignettes, whereas in Paris the lives of all of the characters flow together, their paths crossing through a variety of encounters and happenstances. The film spends most of its time on the story of Pierre, who needs a heart transplant, and his sister Élise (played by one of my favorites: Juliette Binoche), who is a single mother and social worker. But I found all of the stories compelling. It was a French film to be sure - offering not so much a happy ending as a question mark regarding the future. Yet, somehow this dark thoughtfulness seemed fitting for the dark winter season. And I never get tired of seeing familiar places in Paris flash across the screen. I just saw a report that French police have broken up a major crime ring operating in the Paris Métro. You can read the story in the Winnipeg Free Press, but the short version is that the bad guys are accused of forcing young people from Eastern Europe to beg and steal on the Métro and Parisian tourist attractions. The ring supposedly took in 1.3 million euro (1.7 million dollars) last year. Petty theft and dishonest begging is an unfortunate aspect of life in many large cities, and I've personally experienced a couple of scams while in Paris. There is the scam where a young women come up to you abruptly in a train station or on a busy sidewalk and ask, "Do you speak English?" I don't exactly know what happens next, but I assume that if you say yes, you'll be swindled out of something. I've witnessed a second scam along the Seine. A man or woman bends down to supposedly pick something up off the ground and - lo and behold! - it's a gold ring. They ask if it's yours, you say no, they enlist you in helping find the owner and then you likely get pick-pocketed by their accomplice. What kinds of scams have you experienced in Paris or elsewhere while traveling? A blog entry from earlier this month suggested using Herbes de Provence as a seasoning for your Thanksgiving turkey. This Thursday I followed my own advice and turned our holiday turkey into a French-inspired main dish accompanied by the very American sides of stuffing, cranberries, and pumpkin pie. All of the above turned out quite well, and the Herbes de Provence made for a pretty and tasty turkey. This holiday season, you might want to celebrate by popping a bottle (or deux) of Champagne. And who could blame you? There's just something about the bubbly French drink that brings instant glamour and fun to any occasion. But the price of most Champagnes - generally $50 or more for a bottle - is not always budget friendly. When you want the sparkling with out the sticker shock, try one of these glamour-adding alternatives. This sparkling wine from Spain is very drinkable and often very reasonably priced. You can easily find bottles for less that $20, and sometimes even closer to $10. Keep an eye out for Cava on a bar or restaurant's wines by the glass list as well. I often see it there next to much more expensive glasses of Champagne. If you prefer to buy your bubbly from somewhere inside l'Héxagone, look no further than the Loire Valley. Vineyards there make Crémant, a sprarkling wine whose production methods and aging process are controlled by French appellation law. Crémants are produced in many regions of France, and even in Luxembourg, but the Loire Valley is France's second-largest producer of sparkling wine outside of Champagne. Like Cava, there are bottles to be had for around $20 or less. If you're an American, why not support homegrown vineyards this year by finding a domestic option for your bubbly toasts? If you're not an American, why not try a wine you might not have previously considered? You just might be surprised at the quality of sparklings to be found stateside. 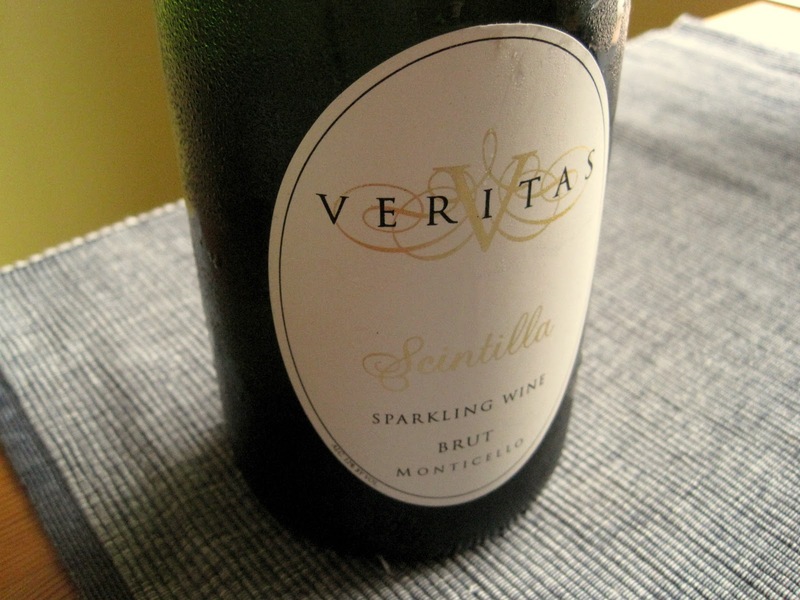 This Thanksgiving, I'll be celebrating with a delicious $30 bottle of Scintilla, a Brut sparkling wine from Veritas Vineyard and Winery, located near Charlottesville, Virginia. The State of Francophilia in the U.S.
What exactly is an "Old-School Francophile?" Was Sarkozy really drunk at that G8 Summit press conference? And what are the three things French people like? Hint: One of them is food. Find the answers to these questions and more on a recent episode of Wisconsin Public Radio's program, "Here on Earth: Radio Without Borders." The episode in question is called "Francophilia Revisited," and it goes well with an afternoon of crêpe-making. I like to make my own pizzas using just-add-water crust, canned tomato sauce, shredded mozzarella and cheddar, and a rotating combination of toppings. I sprinkle a generous amount of Herbes de Provence in the sauce to take the flavor up a notch. The cooler weather has me craving hearty foods like thick soups, red meat, and potatoes. Especially potatoes. Chop Golden Russets into medium-sized cubes, douse in olive oil, mix with Herbes de Provence, bake at 425 Fahrenheit for 30 minutes and get ready for some serious comfort food. You want to eat Herbes de Provence, but you should also think about decorating with them. Make your kitchen Provençal by putting the herbs into little glass spice jars and using them to decorate open shelves or a window sill. Spread them around trinkets on a decorative plate, or pour them into small, clear vases for a rustic touch. Whisk together extra virgin olive oil, freshly squeezed lemon juice, and Herbes de Provence. Add lettuce. It sounds gross and it feels gross, but lifting up the skin of an uncooked Turkey so you can stuff that space with butter and Herbes de Provence is a good idea. Pop in into the oven, et voilà! Thanksgiving with a French flair. I recently took a day trip to Virginia's Sky Meadows State Park, whose strong points include ample picnicking space, sweeping hillside views, and proximity to wineries. After an evening meal of cheese, charcuterie, and fried chicken and biscuits (we're in the south, after all) our group headed to Delaplane Cellars, a relative newcomer on the bustling Virginia wine scene. Delaplane's strong points include a spacious tasting room, live music on the patio, and an eclectic selection of vino. I generally avoid large-scale events in Washington, DC. Marathons, rallies, and festivals turn Metro into an even bigger mess than normal, and crowds make me nervous. So, normally I'm more than happy to stay close to home and enjoy a little peace and quiet when a big show comes to town. I made an exception for the day before Inauguration Day concert in 2009 (Bono, Bruce, and Beyoncé, oh my! ), and I made another exception today for the Rally to Restore Sanity and/or Fear. Metro was a mess, and the crowd made me nervous, but it was all worth it for the chance to see clever rally signs. One of the best things about not living overseas is getting to fully celebrate uniquely American holidays. Thanksgiving, Independence Day, and Halloween (celebrated elsewhere, yes, but we really do it up) are all more fun for me when I'm in the U.S. Last year this time I was in Brussels, so this year I'm especially interested in making the most of the autumn holiday season. One way to do that? 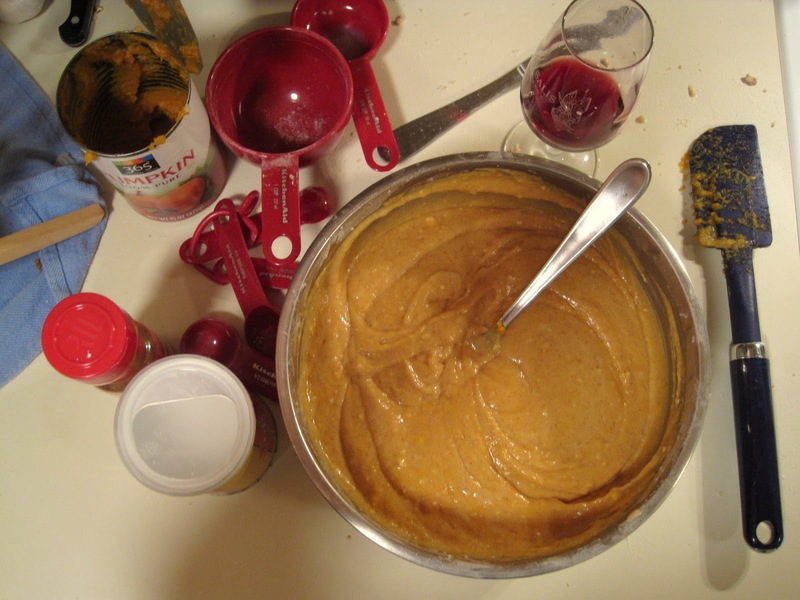 Bake pumpkin cupcakes. I got my pumpkin cupcake recipe from a British cookbook that was written by a man who took multiple trips to the U.S., fell in love with our desserts, and decided to open a bakery in London that specializes in American goodies like pecan pie, brownies, and cupcakes. He named his store The Hummingbird Bakery, and there are now multiple locations around the city. I picked up his cookbook, The Hummingbird Bakery Cookbook, while on an October 2009 visit to London. It's a true homage to all sweet things American, and it uses cute British phrases like "bicarbonate of soda," and "tinned pumpkin purée." The cupcakes were a success. My friend (the fabulous cupcake blogger) and I worried they would be too moist, and we broke an electric mixer while trying to make the cream cheese frosting, but in the end they turned out delicious and adorable and were quickly gobbled up by co-workers when I brought a batch into the office the following day. If you'd like to try them yourself (and if you're an American you'll probably eat anything that's pumpkin flavored this time of year), I found the recipe blessedly converted into U.S. measurements on tastebook.com. Enjoy! Correr Es Mi Destino - My New Life In Canada Under The Snow!